I almost didn’t make it. There’s something so tempting about staying under the covers when your alarm goes off at 05:30. 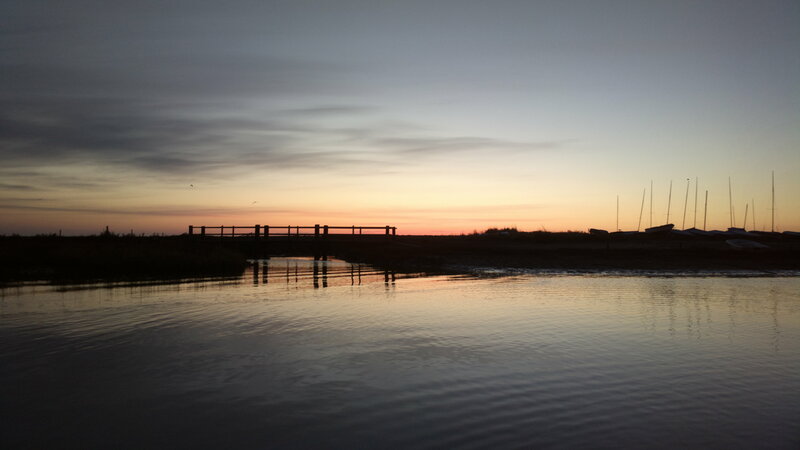 However, the red and orange sky glow I could see through the gap in the curtains persuaded me out of bed, down the driveway still covered in frost and onto the quay just in time for high tide. 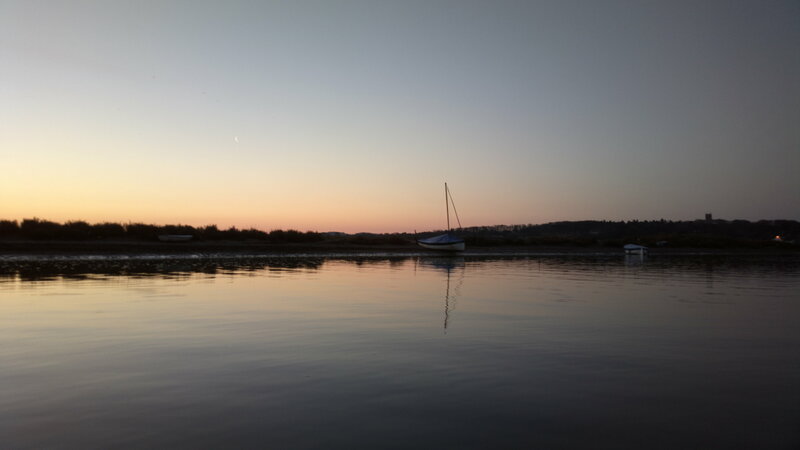 The great beauty of living so close to the water is being able to seize moments like this: dawn and high tide coinciding on a perfectly still and clear Sunday morning. 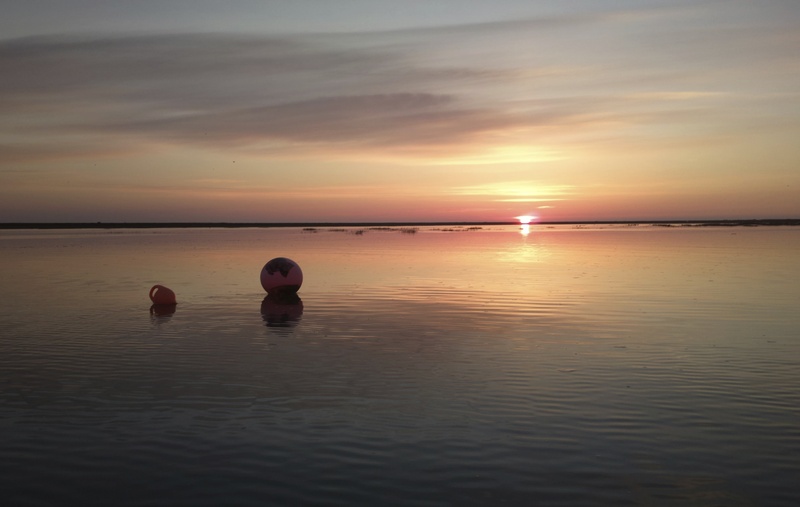 There was not a soul around – even the hardy sailors of the Blakeney Sailing Club were not yet abroad – and not a ripple on the water as the kayak glided down the Cut. 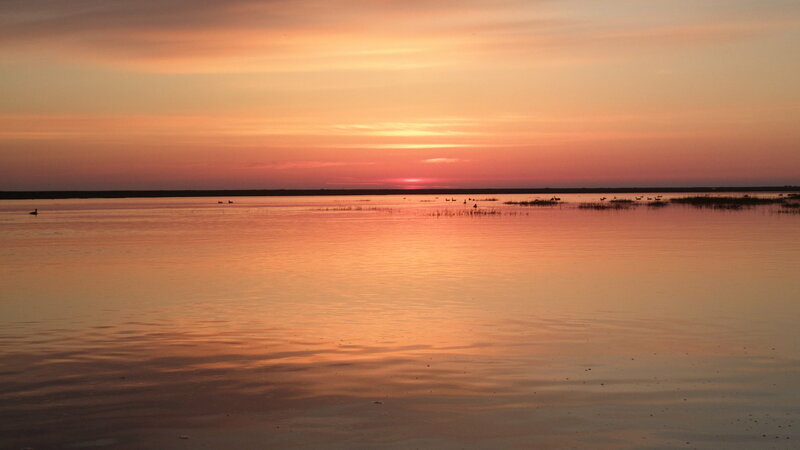 Only the birds noticed the passing of the boat, calling to the dawn and skimming low over the water. 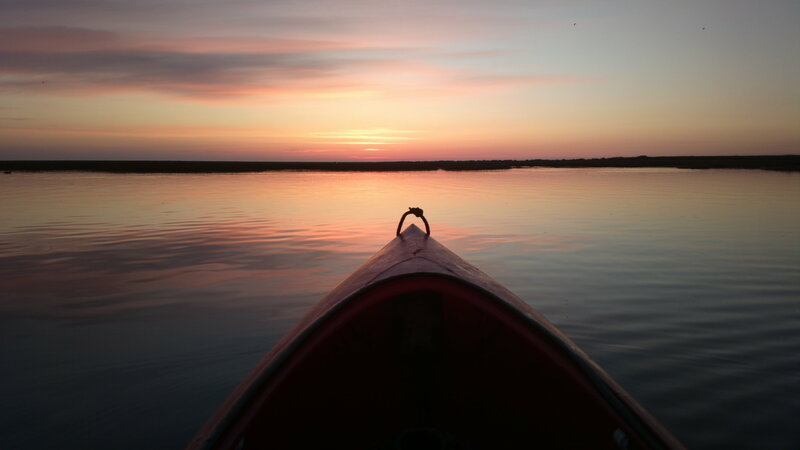 I paddled out to where the narrow channel meets the wide waters of the harbour and let the boat drift, taking photos, and turning just in time to watch the sun rise with surprising speed over towards Cley.